With the beginning of the athletic season underway, the WolfPack cheerleaders have begun their selection and training for the upcoming season. Tryouts for the cheerleaders began the weekend of Sept. 7, when 30 athletes auditioned for spots on the team. Tryouts consisted of testing the players’ abilities in the following categories: tumbling, dancing, cheering, jumping and stunting – stunting is a prime component in cheerleading that includes lifting and tossing teammates into the air, with the expectation that the vaulted person will perform some type of aerial feat. For the coming season, the cheerleaders were fortunate to gain a few promising new members, one of whom is Logan Keegan-Boucher, an experienced cheerleader who has spent a number of years perfecting her abilities in the sport. Emily will look to help a WolfPack team that had some success in competitions last year. 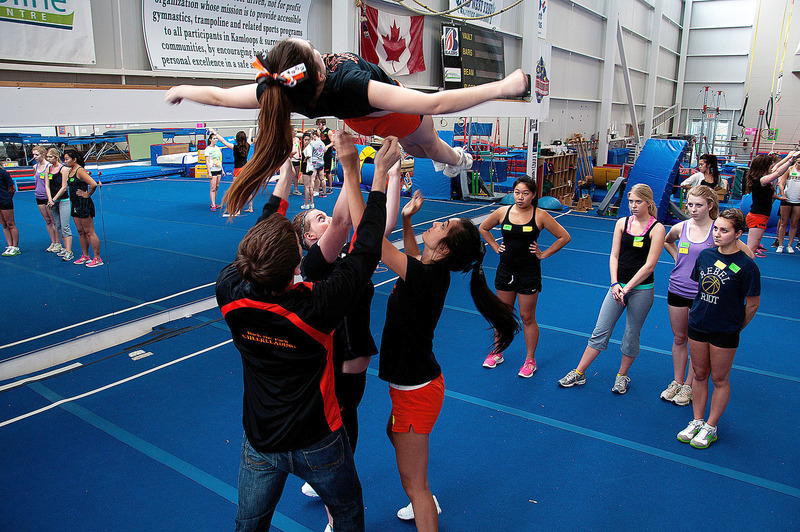 In 2012-13 the cheerleaders competed in both the Sea to Sky International Cheerleading Championship in Vancouver and a cheer competition in Edmonton, placing third in both events. The team also sent a quintet of players to compete in the Okanagan Cheerleading Championship in Kelowna, that group placed second. Tatianna Landry, a former veteran on the team, also entered into an individual tumbling competition in which she finished first in her division. While the cheerleaders continue to support WolfPack teams this season, they will also be entering competitions of their own, and continue to participate in a number of community and charity events around Kamloops. Last year, Paws for a Cause, Walk for Memories, Run for the Cure, Basics for Babies, Dreamlift Day, Santa Claus Parade, Family Literacy Day and TRU’s Casino Night all had help from the cheer team. This upcoming Thursday, the cheerleaders will play host to Tight n’ Bright Night at Heroes Pub, raising money for upcoming competitions.